This route is shown on bikely.com. 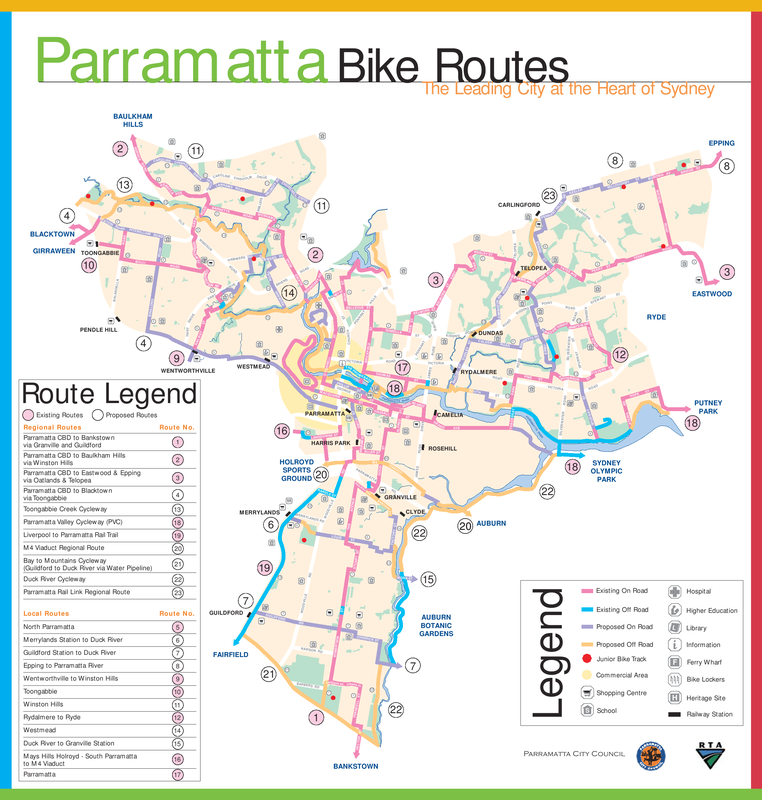 I have ridden this route with Tomaso of UrbanArc, discussing the following (and other) issues. The link across Mona Street to the Duck River path on the Auburn side going South is abysmally poor. The grassy area opposite Sixth and Seventh Streets has recently been used as a horse trotting track; the path could go around the edge, still allowing the horse trotting to continue. Note that my copy of the UBD shows the path going through this grassy area, as does the 2001 bicycle plan. Some driveways in Factory Street are large. The Memorial Avenue entrance into the TAB is blind. The pavement between the kerb and the ramp into the station is very narrow.